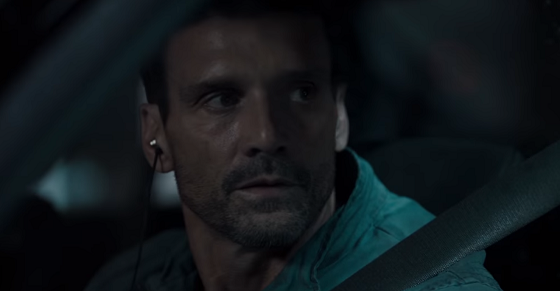 Wheelman, starring Guiding Light alum Frank Grillo (ex-Hart Jessup), launches October 20th exclusively on Netflix. Grillo (Kingdom, Captain America: Civil War) stars as the wheelman, a getaway driver thrust into a high stakes race-to-survive after a bank robbery goes terribly wrong. With a car full of money and his family on the line, the clock is ticking to figure out who double-crossed him and the only person he can trust... his thirteen-year-old daughter. All reasons to think fast and drive faster. Wheelman was written and directed by Jeremy Rush. Frank Grillo, Joe Carnahan (The Grey, The A-Team), Myles Nestel (The November Man, Machete) and Craig Chapman serve as producers. J. Todd Harris, Chady Eli Mattar, Scott C. Silver, Lisa Wilson, Anders Erden, Art Robinson, Giani Altobelli, and Philip Krepela serve as executive producers.